The Personalis laboratory is both CLIA-certified and CAP-accredited. Our experienced laboratory staff bring a wealth of sequencing and sample expertise to ensure you’re getting the most out of your samples. 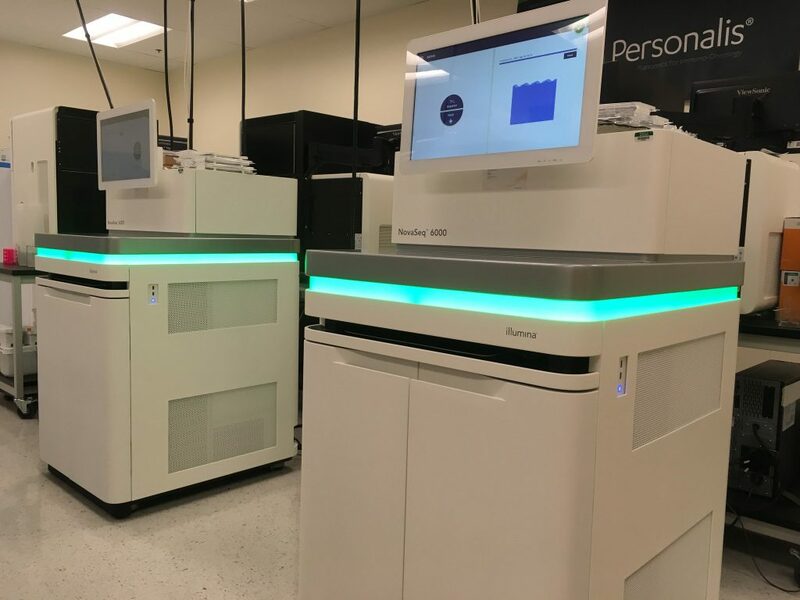 We’ve developed and invested in the most cutting-edge technologies including our proprietary Symphony Genomics Workflow Management Platform, laboratory robotics for agile scaling, and the most advanced sequencing instrumentation — Illumina NovaSeq™ 6000 Systems. When combined, this infrastructure enables us to provide reliable, high quality delivery of your projects. Some states require an additional license. Personalis has obtained such licenses from the states listed below, and therefore is licensed to accept samples from all states except New York. In New York, Personalis is licensed to provide the ACE Clinical Exome Test.